Ah, a brand new year. Resolutions to make. New calendars to fill. Gym memberships to buy and then studiously avoid using. 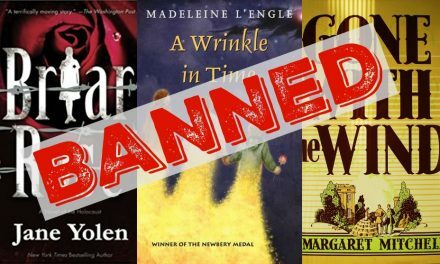 If you’re like me, you may also be taking this opportunity to review the books you read in 2017 and think about how you can shake up your reading habits this year. And maybe — just maybe — you’re thinking, gee, I really would like to read more books by the brilliant women and men who attended and teach at my glorious alma mater. 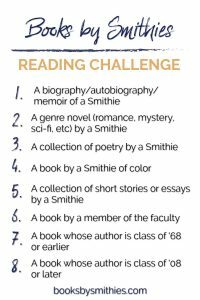 Well then HEY, have I got a reading challenge for you! So. 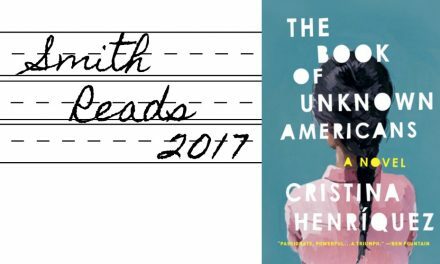 Are you ready to read eight excellent books by Smithies in 2018? If that seems like too much commitment, reader, I have been there. Think of the challenge as inspiration — you could always pick just one or two to add to your annual bookish bucket list. I’ll put together roundups of some titles that satisfy each challenge over the coming weeks, so stay tuned. 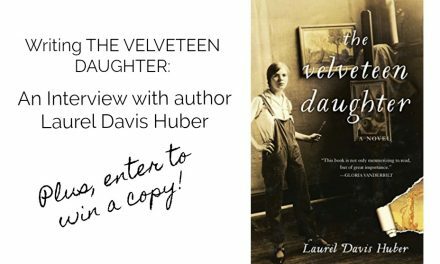 Writing THE VELVETEEN DAUGHTER: An interview and a GIVEAWAY!